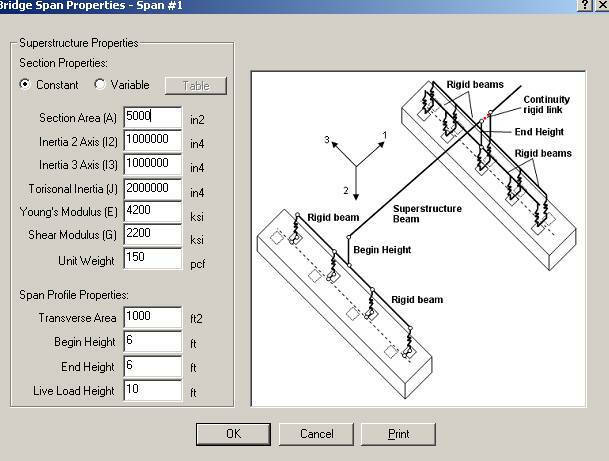 The FB-MultiPier analysis program is a nonlinear finite element analysis program capable of analyzing multiple bridge pier structures interconnected by bridge spans. The full structure can be subject to a full array AASHTO load types in a static analysis or time varying load functions in a dynamic analysis. Each pier structure is composed of pier columns and cap supported on a pile cap and piles/shafts with nonlinear soil. 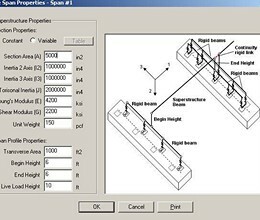 This analysis program couples nonlinear structural finite element analysis with nonlinear static soil models for axial, lateral and torsional soil behavior to provide a robust system of analysis for coupled bridge pier structures and foundation systems. FB-MultiPier performs the generation of the finite element model internally given the geometric definition of the structure and foundation system as input graphically by the designer. This allows the engineer to work directly with the design parameters and lessens the bookkeeping necessary to create and interpret a model. * FB-MultiPier download link provides demo version of the software. FB-MultiPier has been rated 5.0 out of 5 points. A total of 1 votes cast and 0 users reviewed the software.